Gasland Properties began in 1985 as Gasland Oil, a chain of retail fuel and convenience store outlets in Western Canada. Today, the company has evolved to include holdings in many commercial properties that include retail fuel and convenience stores, carwashes, buildings for restaurants and liquor stores, as well as strip malls, office space and warehouses. Founder Cal Nichols has been awarded the Order of Canada, inducted into the Alberta Business Hall of Fame and was awarded the Queen's Golden Jubilee Medal by the Governor General of Canada for his exemplary service to his community. Mr. Nichols is best known for his prominent role in saving the Edmonton Oilers National Hockey League franchise from leaving Edmonton. 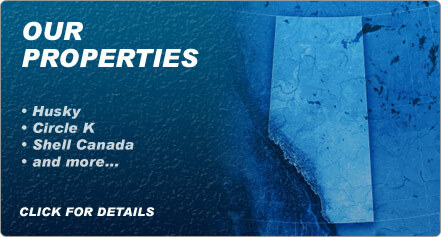 Gasland Properties is headquartered in Edmonton, Alberta.